What is the price of a DRC token? Tokens are sold for $1 U.S. per token, with discounts based on when you buy. According to the project’s whitepaper, $10 U.S.
What exchange will the DRC be listed on? At the time of writing, no exchanges are listed for the DRC. How do I buy the token? 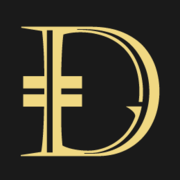 The Darico token is available through the project’s website, by going to https://darico.io/en/accounts/signup/.